Don’t you think weight loss would be easier if you didn’t crave bad foods like sugar, refined carbs and junk food like potato chips, cookies and candy bars? Most people crave junk food and even call it addictive. Bad food has sabotaged countless weight loss efforts and left us feeling hopeless. If it’s happened to you, you are not alone. And there is hope! Today I want to give you a better understanding of why we crave the bad food and what we can start doing about it. Giving in to sugar and junk food cravings is why I tried and failed for over three years to lose the baby weight. No matter how much willpower I used, the cravings always won. I felt powerless. And I felt like there was something wrong with me. Nothing work. I exercised consistently, I planned my meals and prepped the food, I cut out the junk and ate balanced, every two to three hours, like they recommend. I would do fine for a few days, sometimes as long as three weeks. But I would always fall off the wagon. Then I learned the science behind my cravings and what to do about them. There’s an old saying, “When you know better, you’ll do better.” Once I learned how my body works and why I was craving junk food and sugar, I finally had the tools to do something about it. Now my cravings are completely gone, the fat is melting off my body and I feel incredible. Sound too good to be true? I assure you, it’s not. The science behind the cravings. Cravings are not the same as true hunger. 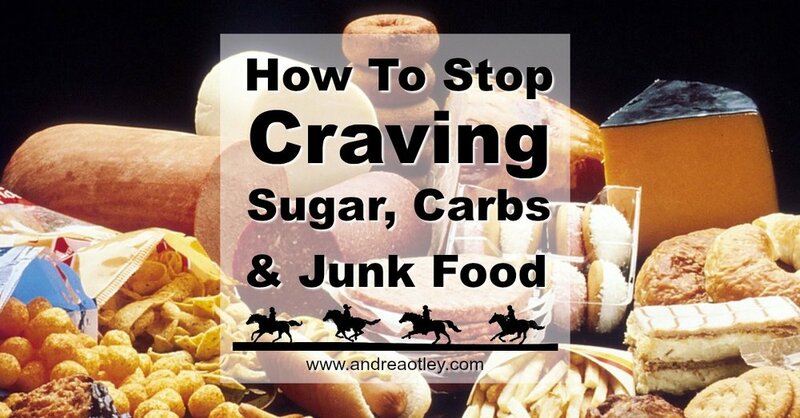 Cravings are the strong feelings you get when you don’t need to eat more food but can’t help it. Willpower does not work to stop cravings. There is actually something physical going on in your body and it is not all in your head. Have you heard the term gut health? There are living organisms in your gut, called good bacteria and bad bacteria. Having lots of bad bacteria in your gut makes it unhealthy. The bad bacteria stay alive by feeding on sugar, refined carbs and junk food. Your body sends signals and regulates all it’s functions with hormones. There are hormones released in the gut that send messages to the brain. Important hormones to know regarding cravings are dopamine, serotonin, leptin, ghrelin, and neuropeptide y. The bad bacteria in the gut need fed. The proper hormones are released, sending signals to the brain. You feel these signals as strong cravings. You might feel sad or unsettled and have mood swings. You don’t feel full or satisfied, no matter how much you eat. Once you start eating, you have a hard time stopping, even if you are stuffed. The cravings are caused by the imbalance of hormones and the bad bacteria. It's a vicious cycle from eating too much bad food. It only makes sense that to stop the cravings, you need to improve the gut health. You need to change the signals the gut is sending the brain. It’s time to regulate your hormones. 1 | Change what you are eating. Eat low sugar, low carbs and no junk food. This is to starve the bad bacteria. Eat lots of healthy fats. This is to help you feel full and satisfied and balance your hunger hormones. It’s possible to stop using sugar as your main source of energy and tap into your stored fat instead. 2 | Eat within a shortened window. When you eat all your meals within an eight hour window, you give your gut a chance to heal. The gut won’t be busy digesting food all the time so it can do other jobs. 3 | Stop restricting calories. When you restrict calories, you throw your hormones out of whack. Learn to eat intuitively. Learn to listen to your body. Eat when you are hungry and stop when you are full. That’s it! I’m by no means, an expert in the field of hormonal balance. Heck, I got two D’s in college chemistry! But, I am passionate about feeling and looking great. It all starts with what we put in our bodies. When you know better, you’ll do better. The hormonal processes in the body are stronger than willpower. There’s no fighting it. Learn all you can about how your body works and why you crave bad food. Don’t follow other people’s (even my) diets and food rules blindly, wishing and hoping for a miracle. Find out why and how it works. Start taking action. It’s not your fault you crave junk. There’s nothing wrong with you. Start making changes today. Thank you for reading this blog post. What struggles do you have with junk food cravings? I’m always here to answer your questions. My mission is to help you lose weight and get fit to ride. Become a part of our Cowgirl Up Fitness Community on Facebook.